The titular character of Melting Ice, Ice Pick, also known as a priest, runs a loan shark business out of his church. His right-hand man Frank, also known as Deacon Frank, loyally helps him do so. A bigger criminal, Texas Pete, an attractive yoga-practicing 50-year-old woman, objects to Frank running a business on her turf and imposes a tax payable by Easter Sunday or else a handful of her own "Franks" would help emphasize the point. Ice Pick and Frank come up with an idea to squeeze more money from the congregation (fake miracles are involved) at the same time that other criminals are plotting to help themselves to the ill-gotten gains. 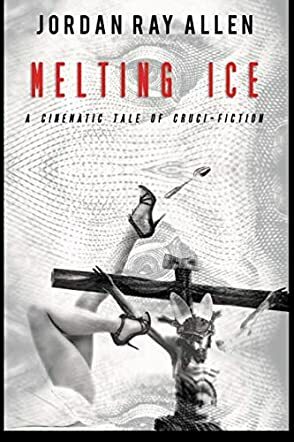 All the characters in Melting Ice are criminals of one type or another, including the 'nice guy' character. A whirl of double and triple crosses bring all of the characters together in the final reel. Jordan Ray Allen has written a high-speed romp portraying petty (and not so petty) criminals engaged in what they supposedly do best. I found Melting Ice to be a very entertaining read. The length is that of a novella, or long short story, written as a screenplay but told in an accessible way. The dialog is witty, well-crafted, and consistent within character. The chapter titles are excellent. I can easily see this as a movie, because the writing creates a visual image which wouldn't need much in the way of translation. Jordan Ray Allen has created a fun universe for those, like me, who enjoy anything inspired by Elmore Leonard or Tarantino films like Pulp Fiction.